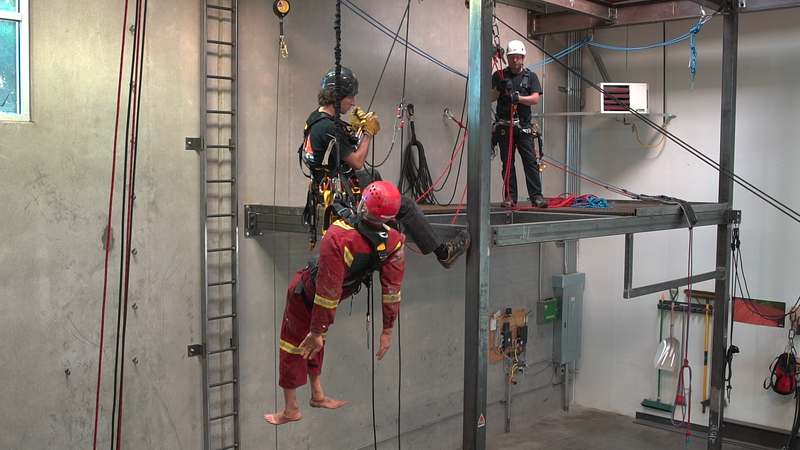 A hands-on, practical course in fall arrest safety systems. This training provides the highest standard of safety for end users working in arenas, ballrooms, convention centers, high rise and residential construction sites and industrial plants. And is also recommended for employers, supervisors, managers and safety officers who oversee a Fall Management Program. Our curriculum is based on current regulations, standards and guidance for working at height, both in general industry and construction, and satisfies all OSHA training requirements. Students will have the opportunity to practice with equipment from leading manufacturers in our state-of-the-art training facility. We also offer on-site training at your facility. Please contact us for more information.